This is my go to ‘left overs’ recipe when you have lots of nuts and seeds left in the cupboard. 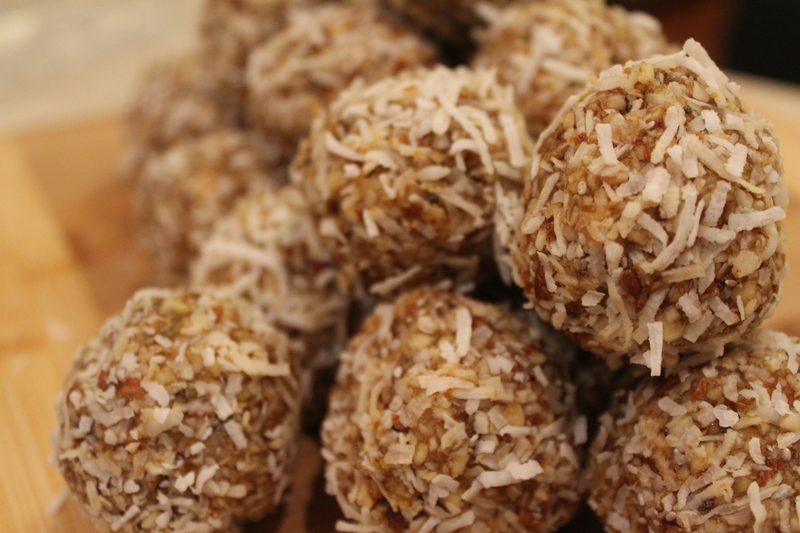 I throw a bunch together with some wet ingredients to make energy bites to get me through week day snack attacks! Measurements on this one are totally up to you, depending on the flavour combination that you prefer. 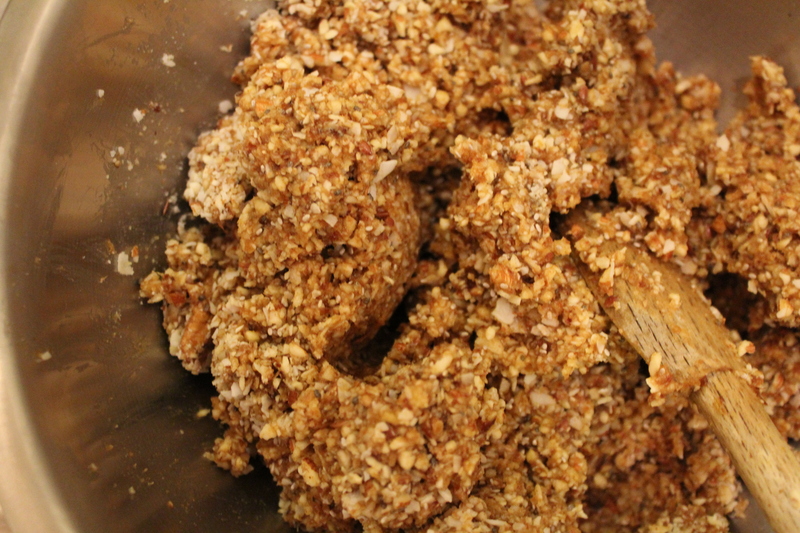 Blitz all the ingredients together in a food processor until roughly chopped. 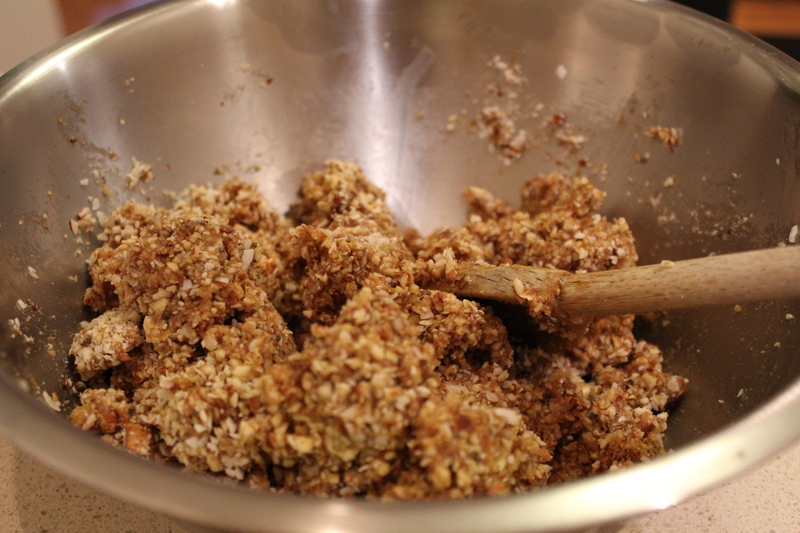 It should produce a sticky thick mixture like the below. 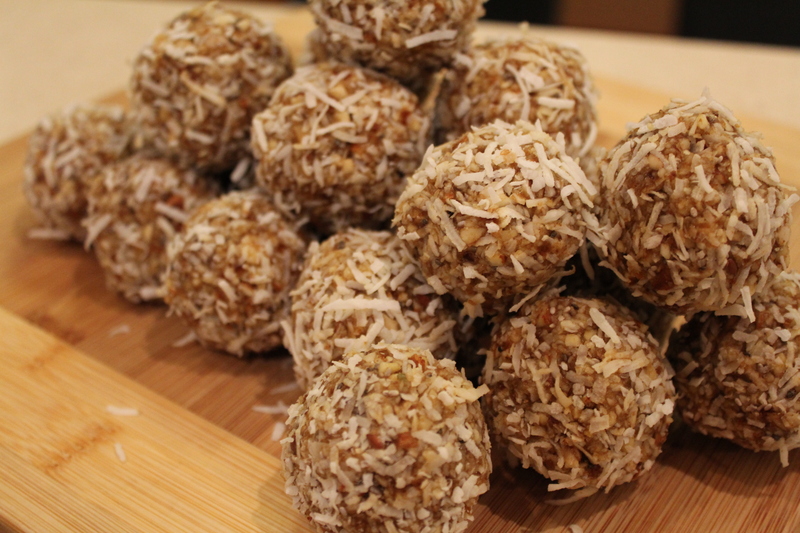 If you feel as though the mixture is too wet and wont roll into balls add more shredded coconut. 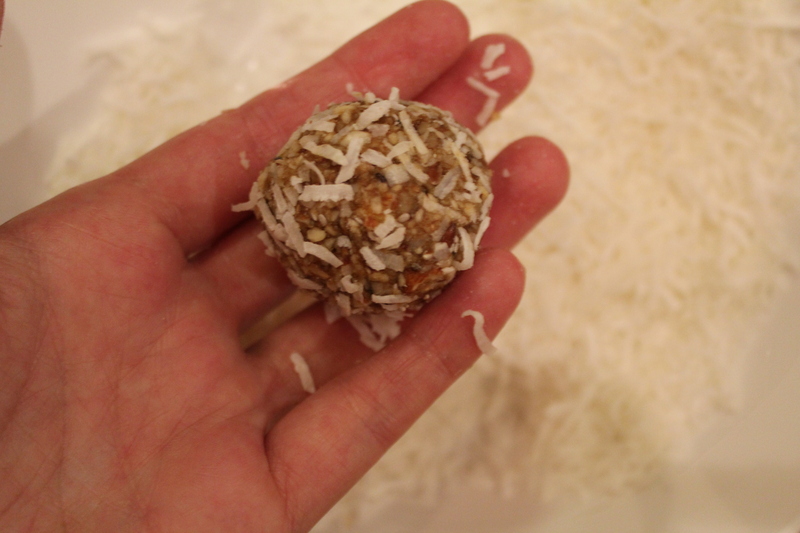 Use your hands to roll into snack size balls, and then roll the outside in shredded coconut so they look pretty. Keep them in the freezer – they taste especially yummy cold on the way out the door.